A hand quilting thread needs to be smooth, non-springy, with as little lint as possible. Lint (fluffiness) on the cotton thread causes annoying loop knots to form as the quilter is stitching. Hand quilting thread also needs to be wash fast and UV fast so that quilts will last a long time whether laundered or put on display. Quilting thread needs to be very consistent in thickness, as it is hard work to stitch with an inferior quality thread that runs thick and thin down its length. 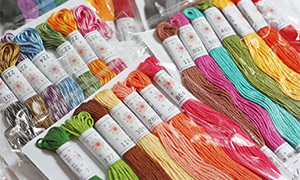 We recommend 100% cotton thread for hand quilting, mercerised and made from long staple cotton fibres. All the brands below fit the bill. Remember -- any spool marked 'machine quilting' is also suitable for hand quilting. The label of 'machine quilting' on a thread is there simply to indicate that the thread is not glazed or waxed, as coated threads cannot be used in a sewing machine. Hand quilters can use unglazed/unwaxed threads. We recommend that any unglazed threads are run through either beeswax or Thread Heaven before stitching -- this dampens down the lint and helps the thread to run very smoothly through the layers of a quilt. YLI Hand Quilting Thread: This is a pure cotton thread, supplied on a wooden spool. It is glazed and runs very smoothly through the quilt sandwich. 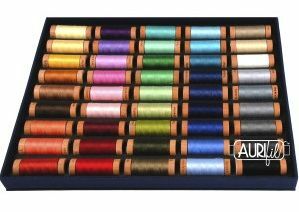 Aurifil 40 Weight: This is a medium weight cotton thread which can be used for hand quilting where no pronounced colour is required. The thread will sink into the fabric to create a shadow. 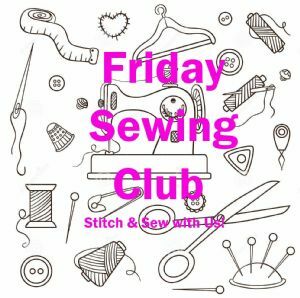 Where a large number of stitches per inch are required, i.e., for very detailed heirloom style hand quilting, this might be a preferable weight to the slightly thicker 28 Weight. Aurifil 28 Weight: This is a superb weight and quality of thread for hand quilting. It is a very clean thread that is not springy. It is thick enough to ride a little bit on top of the fabric but not so thick as to look chunky. If you are unsure which thread to choose for your hand quilting project, try this one first. Available in 270 colours. Aurifil 12 Weight: This is a thick thread, similar to a light Sashiko thread or an old fashioned buttonhole thread. It is supplied on a spool and has a good twist so it behaves well when being used for hand quilting. 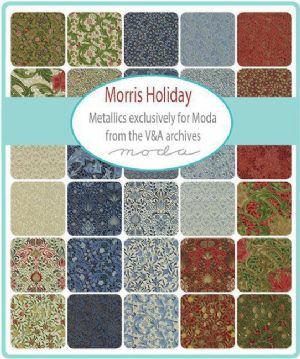 It is particularly suitable for creating 'big stitch' quilting, sashiko-like effects, embroidery-based quilt stitches or Kantha stitching. Aurifil 50 Weight: Aurifil 50 is too fine for most hand quilting projects, however it would be perfect for working on miniature scale, i.e., for 1/12th scale. Gutermann Hand Quilting: An industry standard, this thread has been around for decades. It is glazed and therefore cannot be run through a sewing machine. I find it a little springy to use, but others swear by this thread and use it exclusively. Worth a try if you've not previously tried it.